"Dragline Dredging N.A. & M.I. 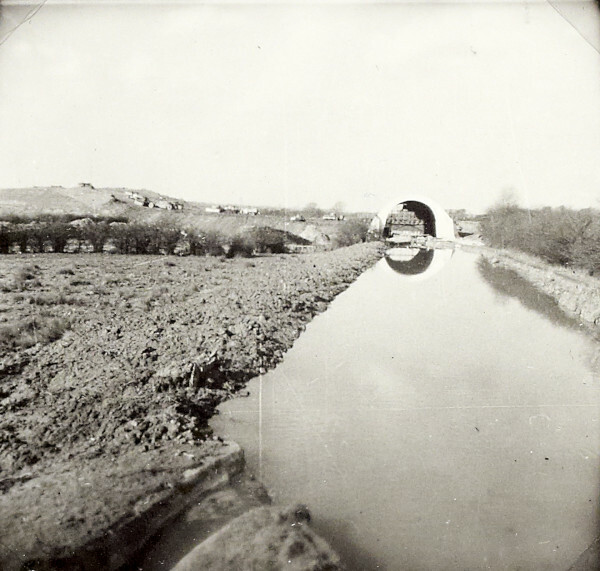 Bridge Under Construction"
Black and white photograph taken from the side of the canal showing a stretch of canal with a bridge in the distance. This photograph is on page 61 of the C N Hadlow photograph album.